Sven Olofsson is a researcher at Uppsala University. 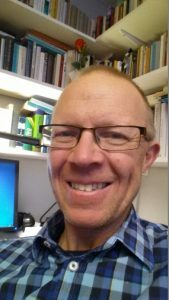 He is currently working on a three-year project called Copper in the Early-Modern World – A comparative study of work and everyday life in Falun and Røros, together with two historians in Oslo. The aim for his part of the project is to renew our understanding about the copper commodity chain from the Swedish perspective, emphasizing on how the world market was changing during the eighteenth century and how these changes affected the Swedish mining organization, from the state authorities all the way down to the individual producers in the Falun mining district. One important actor seems to be the Swedish merchants in Stockholm who were acting as intermediaries between the copper company, the Swedish brass industry and the trading houses abroad. To what actual extent their business was global, and who the people who assumedly connected Falun to the rest of the world were, are important questions.